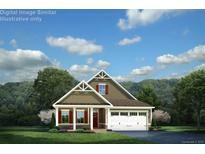 Find Mint Hill, NC Homes for sale. View Photos, Maps and MLS Data Now! MLS#3492696. Keller Williams Ballantyne Area. House is proposed and to be built. MLS#3499262. NVR Homes, Inc./Ryan Homes. Explore the grounds and enjoy how much this home has to offer! MLS#3496199. Lead Dog Realty Inc.
House is proposed and to be built. MLS#3498831. NVR Homes, Inc./Ryan Homes. Versage - Sun porch was wired for heating and cooling and offers year-round use. Don't miss it! MLS#3498992. Savvy + Co Real Estate. 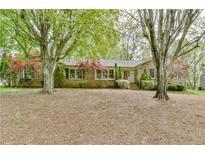 Farmwood - Beautiful Mint Hill Neighborhood w/Country Feel! MLS#3498151. Chantel Ray Real Estate Inc. This home is minutes to Mint Hill and 485 so convenient access and country living! MLS#3494842. Allen Tate Matthews/Mint Hill. No Showings till the Open House Saturday 10-6pm. MLS#3496046. Keller Williams Ballantyne Area. Danbrooke Park - Come see for yourself, this gem will not last long! MLS#3496209. Wilkinson ERA Real Estate. Enjoy summer evenings out on the deck or cozy winter nights in front of the fireplace. MLS#3494776. Keller Williams Union County. Summerwood - See this beautiful home in person and imagine your family creating lasting memories here! MLS#3495297. 1st Choice Properties, Inc.. The second floor also includes a large bedroom and full bath. MLS#3495453. H&H Homes Realty, LLC. The 2nd floor includes a bonus room, full bathroom, and the 4th bedroom. MLS#3495423. H&H Homes Realty, LLC. Utility room at the side entrance for even more storage. Come see this one today! MLS#3494839. Keller Williams Ballantyne Area. Jefferson Colony - please see agent remarks for more information. MLS#3492957. Allen Tate Matthews/Mint Hill. Davis Trace - This home must be toured to truly appreciate! MLS#3495083. Dickens Mitchener & Associates Inc. Enjoy the serenity of living in The Meadows of Cheval. MLS#3492693. Allen Tate Ballantyne. Professionally landscaped cul de sac lot with spacious enclosed patio that overlooks the stunning backyard with a beautiful deck. MLS#3485711. Faulcon & Associates Real Estate LLC. 2-car Garage w/epoxy floor, door to walk-in huge Attic storage! Encapsulated crawl. MLS#3491405. EXP REALTY LLC. Summerwood - Upgraded Tankless Water Heater, Sod & More! “Welcome!” MLS#3494098. Essex Homes Southeast NC Inc.
Oxfordshire - MLS#3493799. USRealty.com, LLP. All this and more with no HOA dues! Take a look today! MLS#3493307. My Townhome. Bainbridge - Mint Hill is growing town with good restaurants. MLS#3493466. Builders Realty LLC. Easy access to I-485 and shopping! Great floor plan - welcome home! MLS#3493033. 1st Choice Properties, Inc.. This home is a must see!! ! MLS#3492967. Redefy Real Estate Charlotte.